Permian Panthers What Is MOJO? 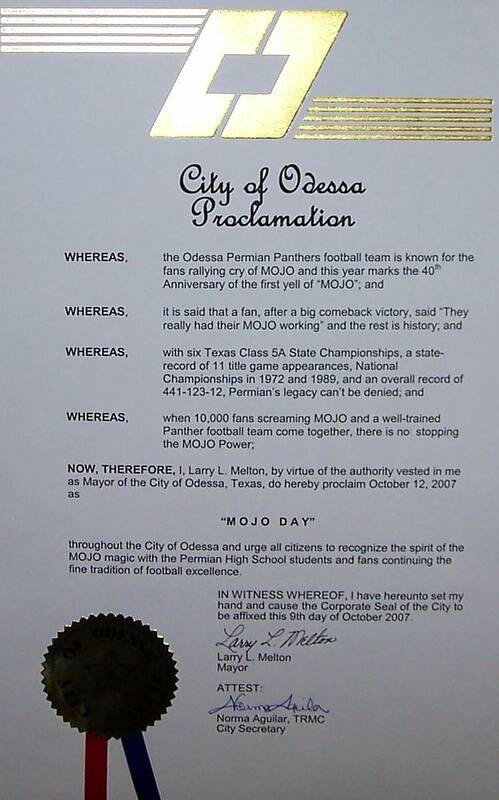 MOJO is the rallying cry of the Odessa Permian Panthers football team, and has come to be like a second mascot for the school. Ask any football fan- anywhere- what MOJO is and they will likely know about Permian football. 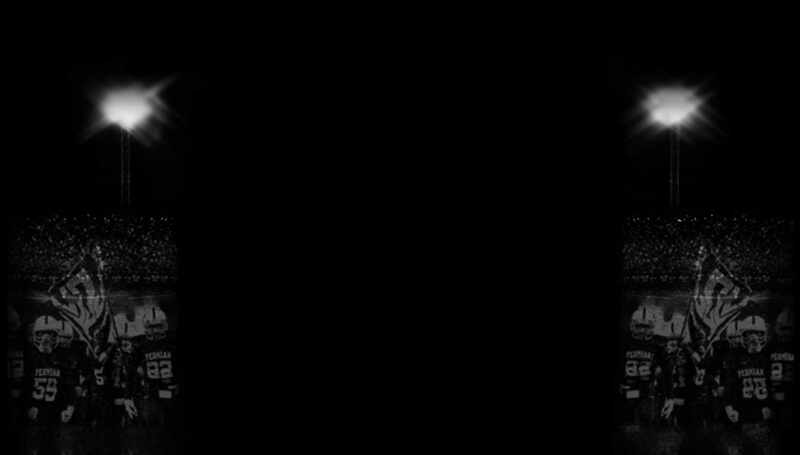 Stories about the origin and meaning of MOJO as it pertains to Permian football are numerous- so numerous in fact that another website could likely be devoted to that subject alone. One theory is that a fan was heard to say after a big comeback victory, "we really had our MOJO working", from the popular Muddy Waters blues song of the same name. Another version of the story is that several "over-served" alumni started the yell, and it took off from there. Whatever the story, it is generally accepted that MOJO was first yelled during a game in 1967, and by the next year the battle cry was being yelled in unison at all games. No matter how or when it started, in my opinion MOJO simply means this- the team comes first...give 110%, 100% of the time...never say die...never accept defeat.